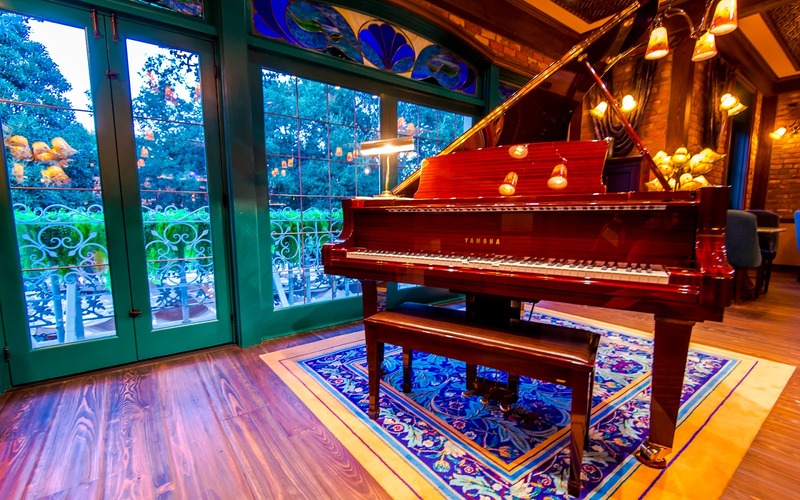 Earlier this year, Club 33 reopened with an expanded space and a new entire section. 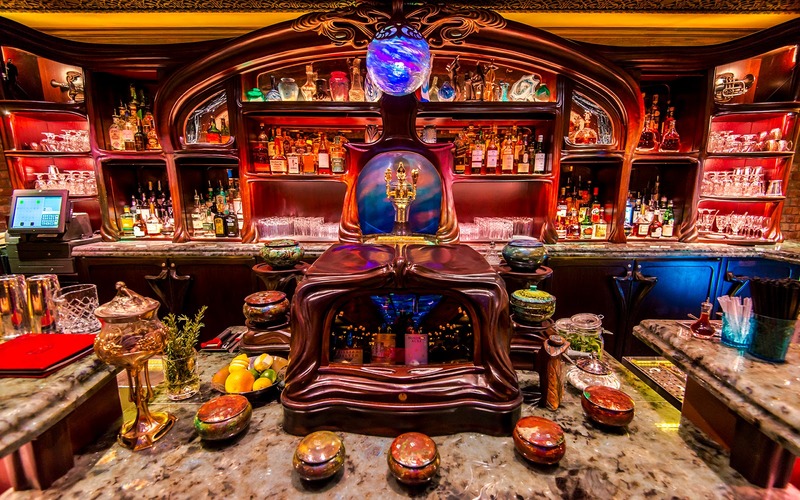 Le Salon Nouveau, aka "The Jazz Club" during preconstruction rumors, is a rich, ornate speakeasy with an Art Nouveau touch, harkening to the swanky lounges of a bygone area. This area is much more casual and doesn't require reservations for members to access. 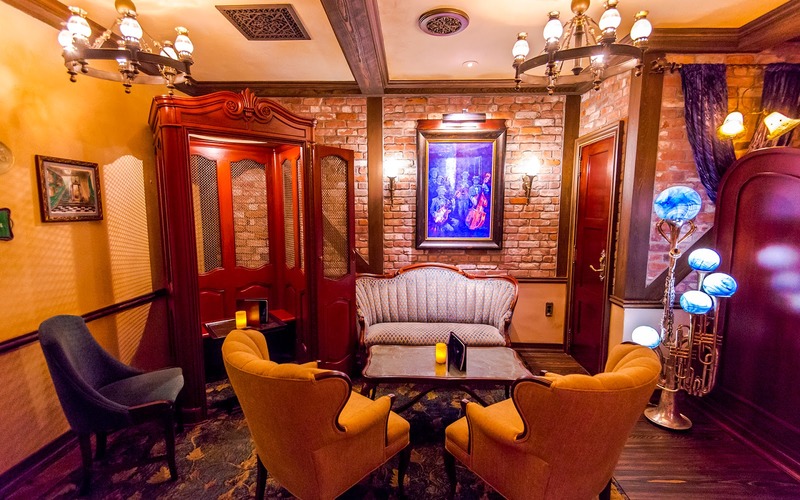 With an extensive bar and delicious food in its own right, Le Salon Nouveau is a great, relaxing place for Club 33 members to spend an afternoon or evening. In the far corner, above the French market, is a grand piano that plays jazzy tunes on its own. The bar is ornate and quite well stocked. 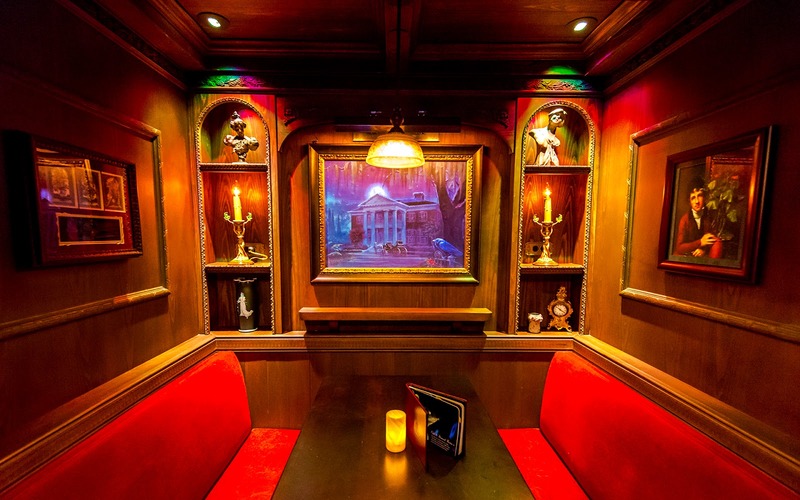 There is a living room area, and the historic old Club 33 lift has now been turned into a table for one--a nod to history, but also a bit unfortunate, since it seems lonely now. There are tucked away booths along the hallway to the Salon Nouveau that feature scenes celebrating various Disneyland attractions, such as this ode to the Haunted Mansion. 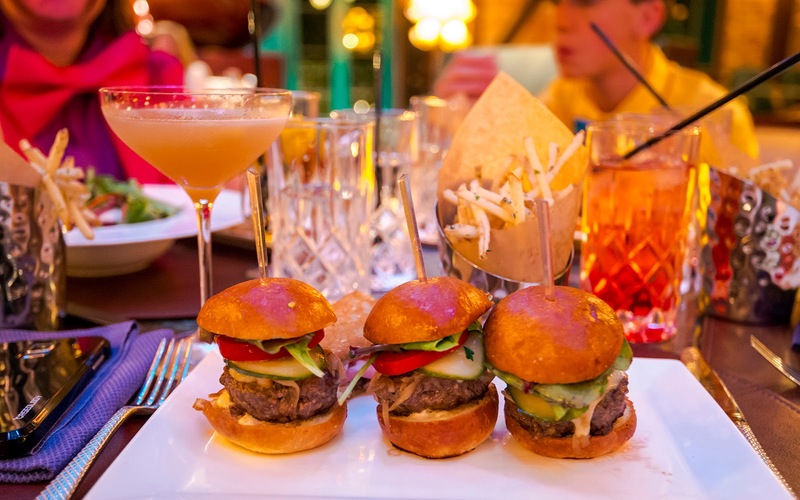 On this occasion, I snacked on the beef wagyu sliders, which were tender and delicious and came with scrumptious garlic shoestring fries. I paired it with one of the best Sidecars I've ever had. 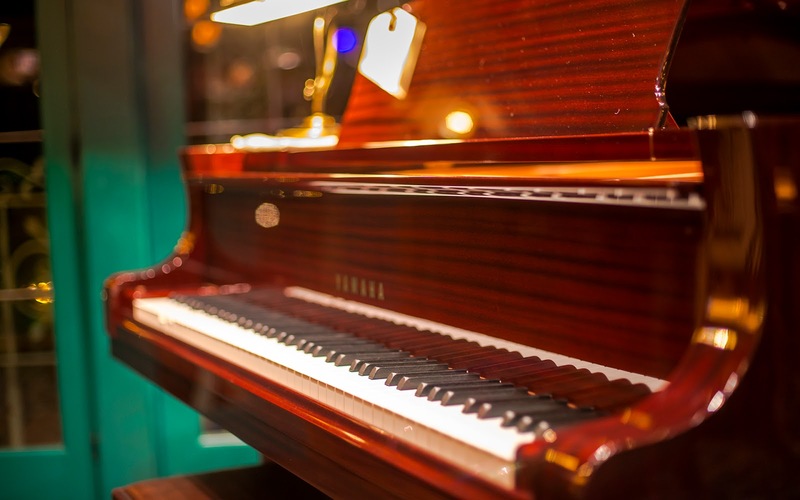 One last detail of the player piano.